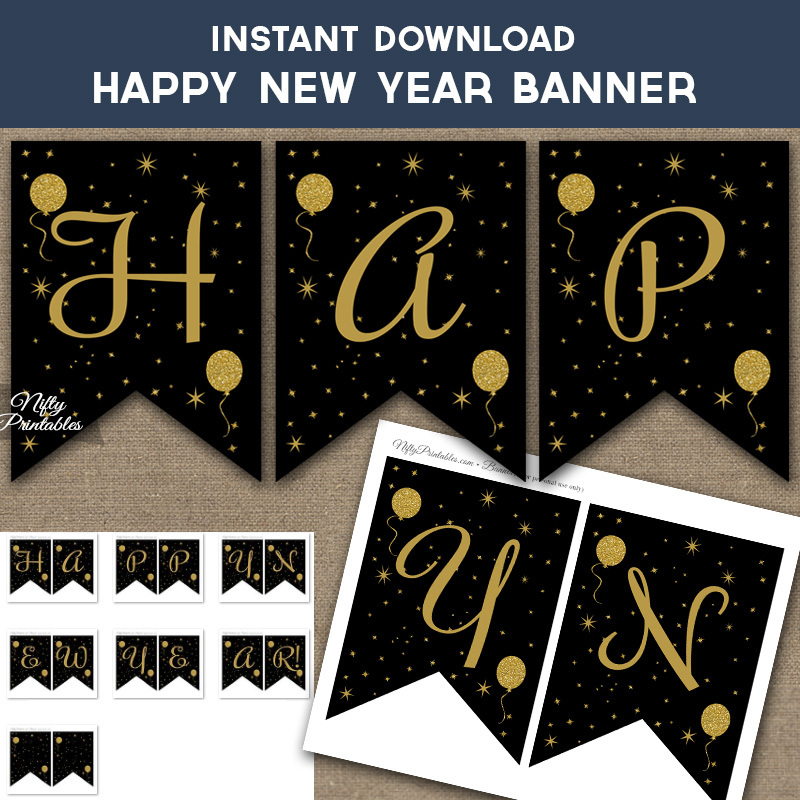 A festive and fun New Year’s Eve party banner to print yourself. It spells out “Happy New Year!” and includes a charming spacer with balloons and stars. You Get: 1 multi-page PDF file with two 5" x 6.75" flags on each page. Just print on white card stock, trim, then punch holes at the top of each flag to string with ribbon.